← It’s the End of the Truth as we Know it – is PR fine? 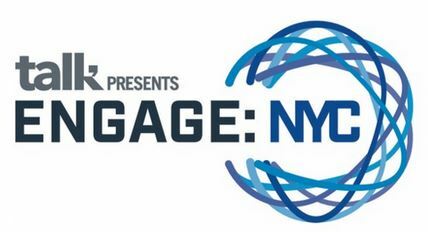 I enjoyed last week’s ENGAGE: NYC Digital Storytelling Conference. Talk NYC founder Derek Smith and his team put on a great event, featuring thought leaders from agencies, startups, and major brands. They covered the state of storytelling and where it’s going. Aki Spicer, Chief Digital Officer of TBWA/ChiatDay covered the evolutîon of the agency and a day in the life of their teams. The operation seemed more like a busy newsroom with a mix of roles and talents. They have trend spotters, mixed-media specialists, and former journalists on staff. It’s a much more diverse mix than the traditional creative and account director-led teams. Rodney Williams, CMO of Moët Hennessy talked about old brands employing new storytelling tricks. They are in a regulated industry which prevents MH from selling direct to consumers (like the car business). The company employs experiential storytelling and won an award at the TriBeCa Film Festival for Moët Moments short films. One of the most interesting things Rodney covered was about the cult of Cognac and the master distiller. It’s something I never knew about (kind of reminded me of the rigors of the master sommelier in the wine world). E.g. new recruits don’t even speak up in tasting meetings for the first 10 years – that’s how long it takes to get your Cognac “nose.” And Cognac master distillers come from long lines often stretching back eight generations. An audience member suggested using VR to capture the experience of a tasting session – but Rodney demurred. Doing so would pierce the veil, transparency has its limits and it is important to pròtect the mystique – no watching the Cognac sausage getting made here. It was great hearing from former Boxee CEO Avner Ronen. He is heading up a new company called Public that has an app of the same name. It uses text messaging to help teens collaborate and tell stories. The app is aimed at members of communities such as middle and high schools. Navid Khonsari of INK Stories talked about storytelling through gaming. I am not really a gamer – and one might not instantly connect the medium with brand marketing. But Navid made a compelling case and spoke about cool titles they’ve produced like 1979, which brings you into the Iranian revolution. Then it was time for the session “The Rise of the Storytelling Bots” and I thought: great, here comes the Trump communications team (ba dum). Seriously, Hakari Bee of Rapp NYC spoke about the topic. It’s fascinating. Who knew you could go to a site called ChatFuel.com and build a Facebook bot in 5-7 minutes, without coding? Hakari covered best practices and case studies, including Mr. Miles (a bot and fictional character who flies KLM and Air France), covered by DM News. Joe Hyrkin, CEO of Issuu (pronounced “issue”) made a compelling case that basically says creators are inheriting the Earth – they are the real kings of storytelling. Joe cited examples ranging from the singer Solange to Sweet Paul. He said that storytellers are building new media companies, and going where they want to share; it’s a creator’s world. There were other great sessions. Unfortunately, I missed the later ones, as I could not stay the entire afternoon. I look forward to attending the next ENGAGE DSC. This entry was posted in Branding, Events, In the News, Networking, NY Tech, PR Tech, Public Relations, Tech PR, Technology, TV, Web 2.0, Web 2.0 Hacks, Mashups and Utilities for PR and tagged bots, branding, marketing, storytelling, virtual reality. Bookmark the permalink.